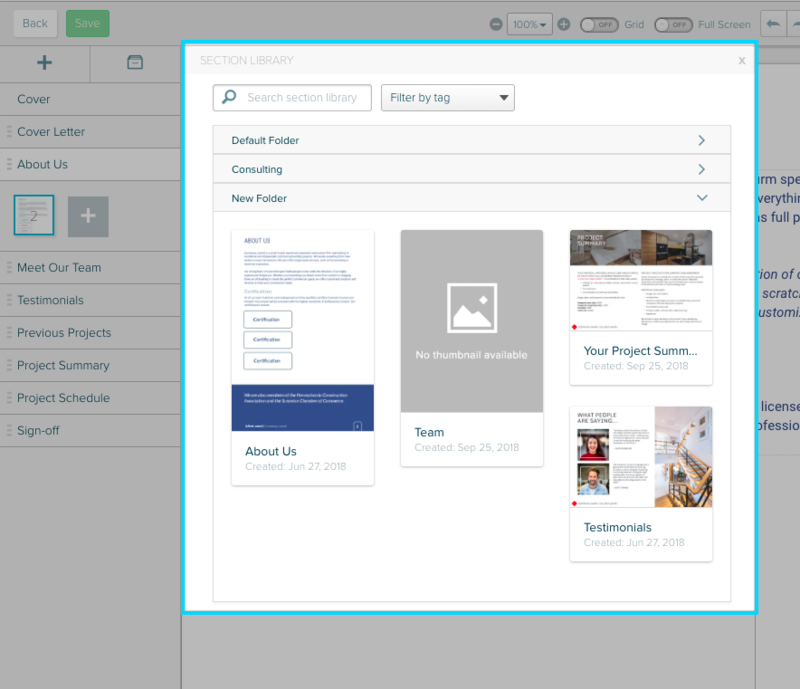 Looking to see how to import a section from your content library to your proposal? Here's a quick guide to help you out! You've created the perfect section for the perfect proposal. However, that perfect proposal was the last one you were working on, and that perfect section is just what you need to make this one even perfect...er. 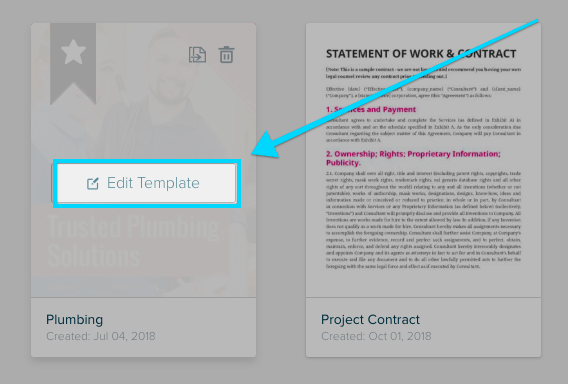 Proposify makes it easy for you to save sections from another proposal in order to add it to your current one with just a couple of clicks! Step One: Save your section to the content library. with the section you're looking to save. 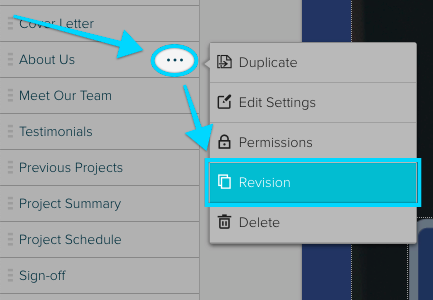 Once in the revision history, hit the "Push" button to push this revision to the content library. If there is no original version already in the content library, then this section will be added. If this was already in the content library, then this version will replace the old version. Once this is done, you're good to go to import this section to your library! That's it! Your section has now been added to your proposal. What's more, you can tweak and change this added section without worrying about changes making it back to the library. 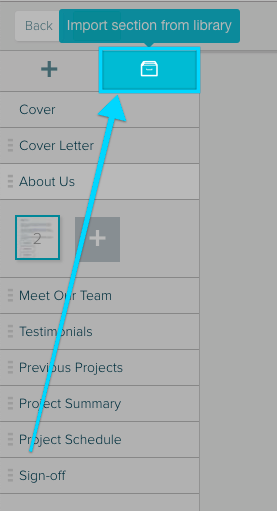 You can make this section now suit your specific client. Looking for help? Need some more information? Click here to start a conversation!